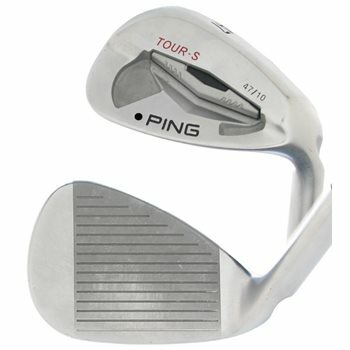 The Ping Tour-S wedge features a 17-4 stainless steel head with a machined face and conforming grooves to provide increased control around the greens. It also features a Custom Tuning Port that is angled toward the back, increasing the perimeter weighting for more forgiveness. Its reshaped sole design provides maximum versatility, allowing you to play multiple shots with the same club. Review by RYan, 2 years ago.